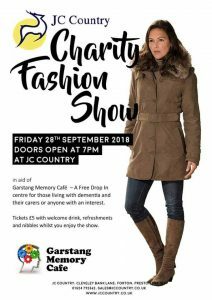 Here at J C Country we are holding a charity fashion show on Friday 28th September 2018 in aid of Garstang Memory Cafe. What is a Memory Cafe? A memory Café is more than just a ‘social outing’. A memory Café is a gathering of people affected by and/or interested in dementia. Monthly gatherings are for the purpose of education, discussions, exchanging information about dementia, and for opportunities to socialize and meet others. anyone interested in dementia, professionally or personally. These include: care giving professionals, students who want to learn about dementia, students who want to help as volunteers to fill the public service components of awards like the Duke of Edinburgh Award. What happens at a Memory Café? Guests receive support, information, education about dementia, and meet others in similar circumstances. They also meet professionals knowledgeable about dementia, representatives of the local Alzheimer’s Society or other dementia support group, services, and volunteers. People can converse, listen to one of the themed talks or interviews, and enjoy refreshments and music. DOORS OPEN AT 7PM WITH THE FASHION SHOW COMMENCING AT 7.45PM. Tickets are £5.00 and include a welcome drink, refreshments and nibbles whilst you enjoy the show. Raffle tickets are also available at £5.00 a strip. So please support this worthy cause and get your tickets now!!!! At J C Country we have a 1/3 off the price on all kiddies clothing, from baby through to 9/10 years. 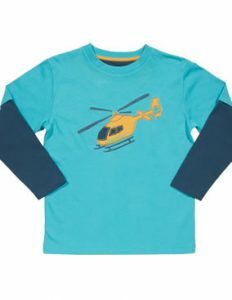 All our Kite clothing is made from organic cotton so it is very wearable from day to day. Come and visit us at J C Country and see what bargains are to be had. You can also order online. We are open seven days a week from 9.30am until 4.30pm. 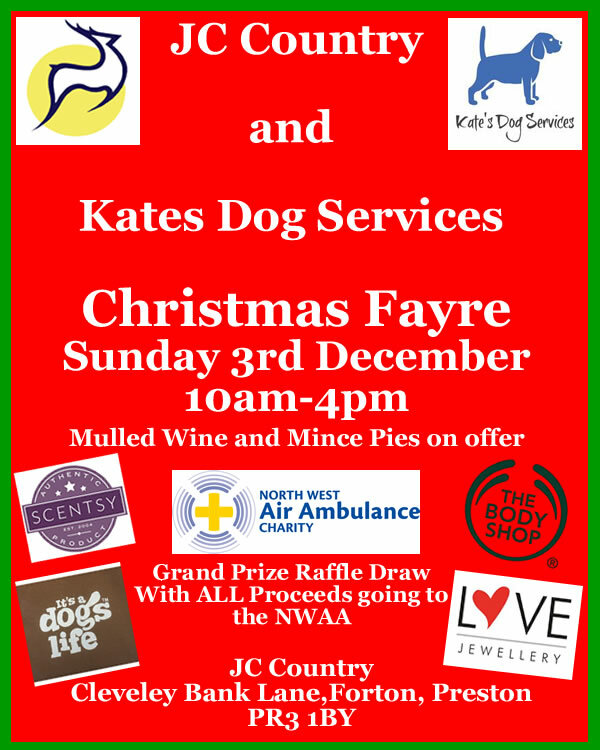 Get into the festive spirit by joining J C Country at our Christmas Fayre on Sunday 3rd December from 10am until 4pm in conjunction with Kates Dog Services. There will be various stalls for you to browse including ‘It’s a Dog’s Life’, The Body Shop, The Smelly Bakery, Bunty’s Crafts plus many more. We are also holding a Grand Prize Raffle Draw with ALL Proceeds going to the North West Air Ambulance. Kates Dog Services will be holding a Dog Show starting at 11am, £2 per entry with a variety of classes including fancy dress. Your pooch can even have their picture taken with Santa. We look forward to seeing you on Sunday 3rd December. J C Country is open 7 days a week from 9.30am til 4.30pm. We are closed Christmas Day, Boxing Day and New Years Day. Christmas is fast approaching so it’s time to start thinking about those gifts for that someone special. Here at J C Country we have a wide range of Ladies, Gents and Kid’s Clothes, aswel as Wellington Boots, Gifts and Accessories. 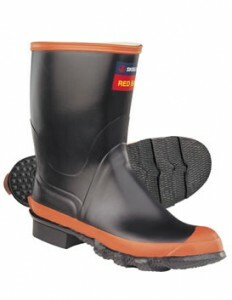 We stock Jack Murphy, Tulchan, Baleno, Lazy Jacks and many more, aswel as Muck Boots and Bogs. So if you’re stuck for ideas why not come and visit us at J C Country and have a browse. Our friendly staff are always on hand to help out. Gift Wrapping Service available on request. We are open seven days a week from 9.30am til 4.30pm. After the decision was made to close the cafe at the end of May we are pleased and excited to announce that Kate’s Dog Services have now taken over the unit. Kate offers a wide range of services which include a purpose designed doggie day care centre, agility, training, dog walking, home boarding and pet visits. Be happy at work knowing that your beloved pooch is being well looked after by Kate and her trained staff while having a whale of a time with other dogs playing at the centre and also going on long walks. Why not call in to the shop aswel where we have everything you need for those walks including waterproof coats and wellington boots. JC Country is open seven days a week from 9.30am til 4.30pm. 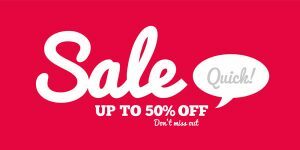 If you love a bargain, and let’s face it who doesn’t, then get yourself down to J C Country as we have our Summer Sale on. Feel free to browse as all our clothes have up to 50% off and all our full price footwear, hats and accessories have 20% off. SO WHAT ARE YOU WAITING FOR!!!! GET DOWN TO J C COUNTRY AND PICK UP A BARGAIN!!! Our friendly staff will be only too happy to help. We are open from 9.30am til 4.30pm seven days a week. If you can’t get down to visit us you can always order online and sit back and wait for your parcel to be delivered. Pop down and have a browse at J C Country because not only do we stock a range of clothes for adults and children but we also stock a wide range of pet food. 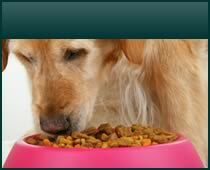 We stock Applaws, Beta and Skinners Field and Trial as well as other varieties for your beloved pooch. We also have a variety of toys and treats to keep your dog entertained. For the ideal collar, harness or lead we have plenty for you to choose from. For your beloved cat we stock Burgess, Burns and Applaws as well as cat toys and treats. We don’t just stock dog and cat food, we also have rabbit food and also plenty of choice in the wild bird section. Please feel free to pop down and take a look. We are open from 9.30am to 4.30pm 7 days a week. Our friendly staff are happy to help if you are struggling to decide what to choose. Are you looking for the perfect country Boot? One that provides warmth, waterproofing, stability and support whilst fitting in with the surroundings. Then look no further, Muck Boot have produced this camouflage take on the Original Muck Master, best known as the Muck Boot Woody Max. So whether you’re looking for a new pair for yourself or that perfect Christmas Gift look no further. 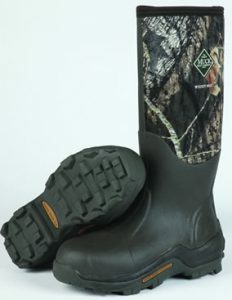 The Woody Max is a hunter’s Must Have boot. An aggressive yet lightweight outersole paired with fleece lining, this boot is ready to handle whatever you’re hunting. Keeping your feet warm and dry down to -40 degrees. Its that time of year again when you are excited for a fine day so you can finally get back out in the garden. After such a wash out winter flowerbeds are mud baths and lawns a quagmire. Its time to roll up your sleeves and dig out the gardening shoes and get stuck back in. The Spring marks the return of the gardening clog. A much sort after piece of equipment for the gardeners in us. Back by popular demand, we promise you won’t be disappointed. Our Bogs range launches the Ladies Bogs Urban Slide and the Men’s Urban Farmer. Essential, lightweight slip on footwear constructed with 4mm Bogs Neo-Tech™ insulation and lined with EverDry and Bogs Max-Wick technology to absorb and evaporate sweat for all-day comfort. Bogs Wellington Boots, back by popular demand. Conquering real deal weather with color and style that makes Mother Nature’s worst look like a walk in the park. With a touch of feminine floral to the neoprene and rated to -40F, the Ladies Plimsoll Quilted Tall is a warm and waterproof yet practical and stylish boot. What Makes Muck Boots so great? It’s all in the design. All MUCK BOOTS are 100% waterproof keeping feet warm, dry and protected in harsh weather and messy working conditions. Muck Boot have an exclusive, self-insulating, waterproof NEOPRENE shell construction that acts as a “neutral medium” between the inside and outside temperatures. Muck Boots are naturally lightweight, and very comfortable and will keep the foot and lower leg warm and protected in cold and wet conditions. Why should I choose Muck Boots? Stretch to fit wide calves. 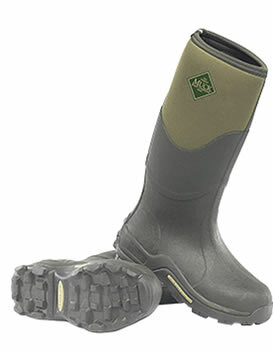 Muck Boots are made to standard widths, but the materials will stretch to fit widths up to an EEE. Boots and shoes are available in whole sizes only, but will stretch to fit half sizes. For men who are a 1/2 size, order the next size up. For women who are a 1/2 size, order the next size down. Breathable with an Airmesh lining made up of thousands of tiny vertical fibres allowing air to circulate creating a comfortable environment for your feet. Now you know what Makes Muck Boots so great, take a look at our Muck Boot Range here. New to JC Country, now stockists of Skellerup Red Band Calf Length Gumboots with a heavy duty cleated sole and built-in rubber foam cushioned innersole. A Kiwi Icon and a best seller in New Zealand since 1958. Worn by generations, they never just buy one pair of Red Bands they buy a pair for everyone in the family. Originally worn by 80% of the farmers. Quick to put on and comfortable to wear, Skellerup Red Band Calf Length Gumboots provide a functional level of protection without being as big and as heavy as a full knee length boot. 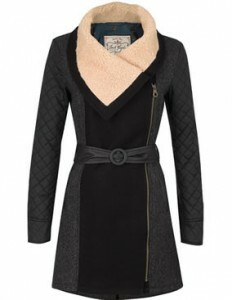 Jack Murphy Ladies Sarah Jessica Coat showcases a stunning mix of fabrics with optimum sophisticated styling. Effortlessly glam and undeniably chic this piece is a true statement this season. Finishing touches include a Faux sherpa collar, Faux Leather waist belt with front fastening buckle and a side fastening zip. Mixed blend of Wool, Cotton and polymide. Available in Black Luxury. The Jack Murphy Sarah Jessica Coat is a gorgeous piece that shows off a ladies flattering shape, creating a feminine silhouette. 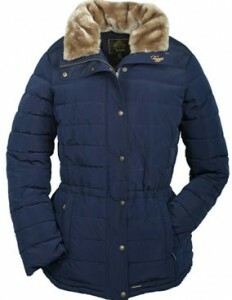 The Toggi Ladies Assington Coat is a shorter length padded coat with flattering seam lines and chevron quilt stitching. With an over sized collar and faux suede lining it allows you to snuggle into it for added comfort and warmth on those chillier days. A real sophisticated piece for all ladies this winter. The Toggi Ladies Assington is a real must have, whether you are on the school run, nipping to town with friends or need something for an evening, with this coat you cannot go wrong. The Toggi Ladies Albourne Country Coat features a detachable faux fur collar and flattering rear waist adjusters to create that feminine silloette and give an added touch of elegance. Being Waterproof, windproof and breathable means not only will you look good in the Toggi Ladies Albourne Country Coat but you are fully protected from the elements making it practical too. Finishing touches include front patch pockets with popper fastening, fleece lined hand warmer pockets and front fastening zip and poppers. New at JC Country for Autumn/ Winter 2015. The Ladies Weird Fish Hopa full zip, soft knit fleece. 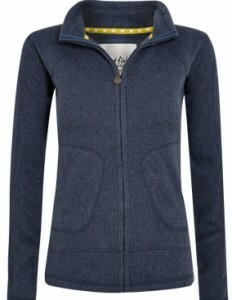 It is a simple yet stylish and warm fleece jacket with slight shaping for a more fitted, feminine sillouette. The Ladies Weird Fish Hopa fleece is soft and spongy in a soft knit fabric, great at keeping the wind out but keeping your body heat in. Finished with 2 hand pockets and a slightly curved hem. 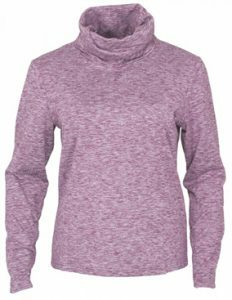 A great layering piece with any of our shirts, knitwear and tops within our Ladies Toggi, Jack Murphy and Irelands Eye Knitwear ranges. Are you looking for a stylish new Winter Coat. Then look no further, here at JC Country we have just the thing. New for AW15, Toggi Ladies Ashfield Coat, is padded and a perfect way to stay warm and cosy this winter. With a Durable Water Repellent finish this coat allows you to look great whilst beating the winter elements. With an inner drawcord at the waist it allows you to create as much or as little shape as required, whilst the removable faux fur trim at the collar and the pretty printed lining add a splash of luxury and versatility. Coming complete with fleece lined hand warmer pockets with zip fastening for extra security and zip and popper front fastening you would be mad to not love this coat. 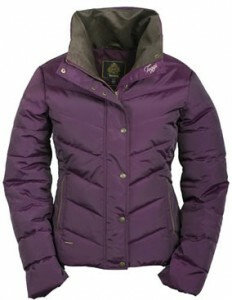 Practical yet stylish, a must have for any ladies wardrobe this season. 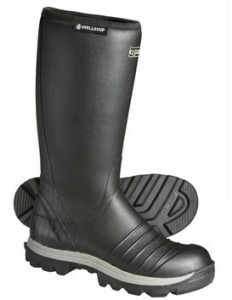 Skellerup Wellington Gum Boots, New in at JC Country. 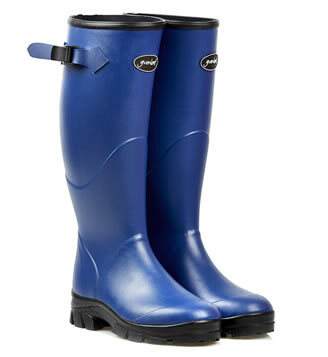 The Skellerup Wellington Gum Boots make a fantastic addition to our wellie range here at JC Country. 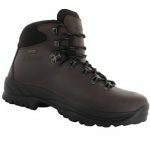 With four different styles of boots to choose from there is something in our Skellerup Range to suit the whole family. So let us introduce you to the Skellerup Brand if you are not already familiar. Skellerup has been supplying the New Zealand industry with high-quality, genuine hand crafted footwear for over 70 years and has set about creating a standard for waterproof footwear that’s recognized around the world. Every Skellerup boot is assembled by hand and incorporating on average 30 components and six rubber formulations, before the finished product is vulcanized. To ensure comfort and compatibility all Skellerup Boots are designed to match the typical working conditions under which they will be worn. Why not treat mum to an Afternoon Tea at JC Country on 15th March? Consisting of homemade sandwiches, freshly baked scones with cream and four delightfully dainty cakes, our Afternoon Tea is the perfect way for mum to relax! Best of all, its only £8.50 per person. Along with our usual children’s area with pets corner, crazy golf and ride on tractors, we’ll have a bouncy castle and a soft play area. So, if you do have the kids with you, there will be plenty to keep them occupied. The Cafe also does kids lunch boxes too. If you looking for gift ideas, JC Country Clothing store has some top brands in store and online. The new Spring Collections are arriving and there’s some great accessories and gifts to choose from. We look forward to seeing you on March 15th! 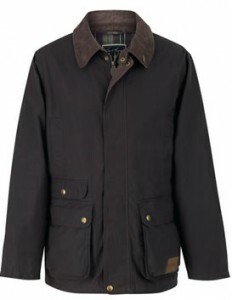 New in at JC Country for the new spring summer range the Jack Murphy Alexandra Cotton Waterproof. The Jack Murphy Alexandra Cotton Waterproof if not only 100% Waterproof but is also 100% Windproof and breathable . 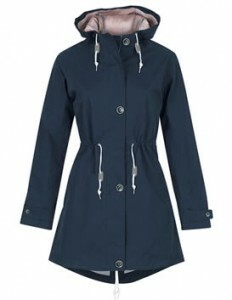 Its a Ladies Parka Style Coat in Heritage Navy and making it super practical is Machine Washable. 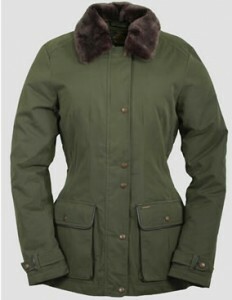 The Jack Murphy Alexandra Cotton Waterproof is a stunning twist on the traditional Parka style Coat, which is both gorgeous looking and practical, ensuring you always look sensational no matter what the British weather throws at you. The finishes touches to the Jack Murphy Alexandra Cotton Waterproof are draw cords at the waist to enhance your figure and give a flattering silhouette and at the collar to secure your hood in the wind. 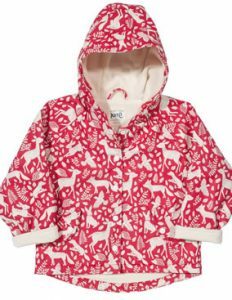 Branded faux horn buttons for the country chic effect, dipped hem, hidden side seam pockets and a distinctive limited edition sunshower printed lining to add a splash of colour to the gloomier spring, summer days. Jack Murphy now also have a re waterproofing spray which is simple and easy to use by just spraying onto the garment but enhances the life of the Jacket and keeps it looking newer for longer. We are Now Offering Free UK Delivery. are handmade Natural Rubber made in Europe and are made with enough cushioning in the sole to allow for a full days wear to be a pleasure, making them one of the most comfortable Wellington Boots you will ever wear. So no matter who in the family needs new boots we have something for all the family in the Gumleaf Wellington Boots Range. Gumleaf Clothing is owned by a North Norfolk Farmer Called Alistair Paterson and is based in a converted barn on his working farm. They are Norfolk’s only brand of country clothing and pride themselves on making sure their produce is practical, comfortable, hard wearing and good looking. All prototypes are vigorously tested by themselves on the farm before being put into production. The Saxon,Styled in dark green with brown trim. Lined throughout with 4mm neoprene for comfort and warmth. The neoprene keeps you snug in cold weather (down to -10 degree C). Our boots are hand made in natural rubber in our own factory in Europe.The neoprene sole is 5mm for extra comfort and stitched in, not glued, so it doesn’t move. The Norse, a Ladies handmade in natural rubber wellington boots. Fully neoprene lined with stitch-in inner sole with Non-slip, deep tread soles and Side strap gusset detail for a perfect fit. The Kiddo, which is a mini version of the adult Gumleaf Saxon welliington boots. Cotton lined with orthopaedic insoles, non-slip soft-grip sole and a hi-visibility heel flash. Clean your Jack Murphy Wax Jacket regularly to maintain its appearance. When cleaning we recommend, lightly brushing off any dirt or soil as soon as possible and if necessary use a cold damp cloth to sponge or wipe persistent tough stains, but do not rub. Please note: this may affect and even remove the wax qualities. Do not machine wash, tumble dry or iron your wax Jacket. Use cold water and avoid soap and detergents. Try not to keep your Jacket in direct sunlight or any direct sources of heat for too long and where possible keep your jacket on a hanger to maintain its optimum shape and appearance. When re-waxing your Jack Murphy Wax Jacket we recommend you use either The Jack Murphy Spray on Wax or the Jack Murphy Wax Cotton Dressing. Always apply products when the Jacket is both clean and dry. When using the spray simply spray evenly all over the Jacket holding the tin approximately 10 to 15 centimetres away from the Jacket. Alternatively if using the Pot of Wax Simply rub evenly all over the jacket using a clean, soft and dry cloth. The Jack Murphy Joshua is a smart style jacket that is incredibly useful against the elements of the Great British weather, being 100% Waterproof and Windproof makes this the number one winter essential. 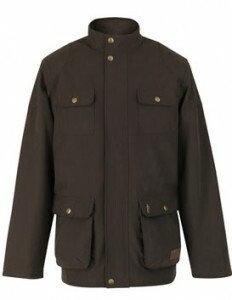 Being practical has not however compromised on the style of the Jacket, still making it an extremely fashionable piece. The Jack Murphy Joshua comes complete with front patch pockets, branded antique poppers and a front central antique zip. Available in Heritage Brown and Navy it is definitely a must have for any man’s wardrobe this season and a Bargain at only £90.00. In need of spending your Christmas money? Looking for a bargain? Then scroll no further. The Jack Murphy Range Hosts the Jack Murphy Nessa a 3/4 Length Wax Coat, a classic mac style waxed coat with faux Sherpa detailing to the back of the neck facing for a cosy twist. 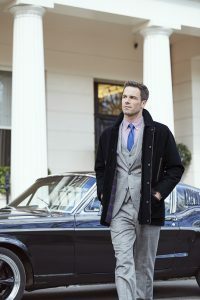 This three quarter length waxed coat is a classic semi fitted style coat providing a sophisticated touch of elegance this season. Comes complete with finishing touching including quilt stitching detail to the yoke and cuff tabs, the Jack Murphy signature classic check lining and micro suede detail to collar, front placket, pockets, cuffs and yoke. Go on spoil yourself its a real bargain. Clean your Jack Murphy Nessa Wax Jacket regularly to maintain its appearance. When cleaning we recommend, lightly brushing off any dirt or soil as soon as possible and if necessary use a cold damp cloth to sponge or wipe persistent tough stains, but do not rub. Please note: this may affect and even remove the wax qualities. Do not machine wash, tumble dry or iron your Jack Murphy Nessa Wax Jacket. Use cold water and avoid soap and detergents. Try not to keep your Jacket in direct sunlight or any direct sources of heat for too long and where possible keep your jacket on a hanger to maintain its optimum shape and appearance. When re-waxing your Jack Murphy Nessa Wax Jacket we recommend you use either The Jack Murphy Spray on Wax or the Jack Murphy Wax Cotton Dressing. Always apply products when the Jacket is both clean and dry. When using the spray simply spray evenly all over the Jacket holding the tin approximately 10 to 15 centimetres away from the Jacket. Alternatively if using the Pot of Wax Simply rub evenly all over the jacket using a clean, soft and dry cloth. Do you need a light weight yet warm jacket in a nice vibrant color, easy to fold and neatly pack away for any expeditions and making sure you stand out and be seen? 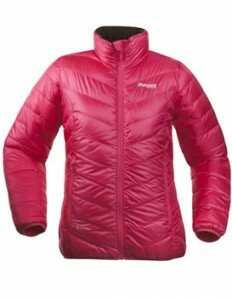 Then look no further, why not try the Bergans Down Light Ladies Jacket. It is a light weight, warm down filled jacket that is suitable for most activities and weather conditions and is designed for use under a shell jacket, however the windproof and water repellent pertex quantum material also allows it to stand alone as an outer on its own. It keeps you warm even when you take a break and can easily befolded down on itself into its very own built in compression pocket. With the added bonus of now only being £99.99 it is a real steal. Do you need a good hard wearing Wellington boot? Then look no further here is the Grubs Stalking Boot and its sister Boot The Snowline. 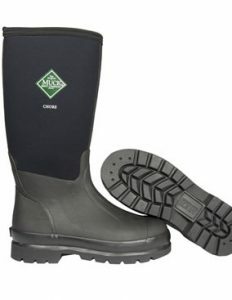 Replacing the English Muck Boots the Grubs Boots are a far superior product; introducing a better quality neoprene, allowing you to sustain temperatures as low as minus 20 degrees; a higher percentage of rubber in the boot, withstanding more bending and flexing and a moisture wicking lining helping maintain an even temperature all year round. 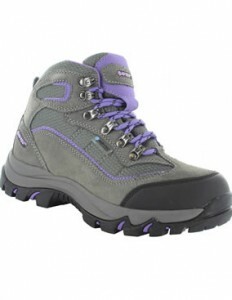 Equipped with its Vibram sole this boot is ideal if you do a lot of walking. Whether it be on muddy terrain or on the concrete nothing is too much for the Grubs Stalking boot. It comes complete with reinforced rubber on the toe and heel for that extra added protection and for that added extra bit of warmth down to minus 40 degrees and luxurious comfort why not try the Grubs Snowline, all the qualities of the Stalking but with an added extra fleecy lining. Are you sick of having cold wet feet in winter? Need a nice warm and comfortable pair of wellies? Then look no further than JC Country. 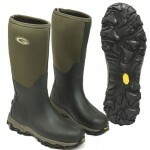 We have an extensive range in wellies including Grubs, Muck Boots, Aigle, Gumleaf and Rock Fish. So whether its style or practicality and durability you are looking for you will find it all in our ranges. We have a pair of boots to suit everyone, from teeny weeny to adult size 13, so kit the whole family out this winter.